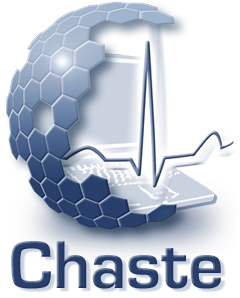 Chaste (Cancer, Heart and Soft Tissue Environment) is a general purpose simulation package aimed at multi-scale, computationally demanding problems arising in biology and physiology. Current functionality includes tissue and cell level electrophysiology, discrete tissue modelling, and soft tissue modelling. The package is being developed by a team mainly based in the Computational Biology Group at the Department of Computer Science, University of Oxford, and development draws on expertise from software engineering, high performance computing, mathematical modelling and scientific computing. While Chaste is a generic extensible library, software development to date has focused primarily on two distinct application areas: continuum modelling of cardiac electrophysiology (Cardiac Chaste); and individual-based modelling of cell populations, with specific application to tissue homeostasis and carcinogenesis (Cell-based Chaste). A more recent focus has been on reduced dimensional modelling of ventilation in lungs (Lung Chaste). This website contains information on all aspects of Chaste, with details of the applications given on their own pages, accessible via the links above or on the right. Chaste is open source software and available for free download. Versions 3.0 and earlier used the GNU LGPL 2.1 licence; versions 3.1 and later are being made available under the 3-clause BSD licence. Note that previous to version 3.2, Chaste was only supported on Linux/Unix platforms. The recommended route for Windows and Mac users was to install Chaste on a virtual machine running Ubuntu Linux. From Version 3.2 (June 2014) onward, Chaste is fully supported on Mac and partially supported on Windows.